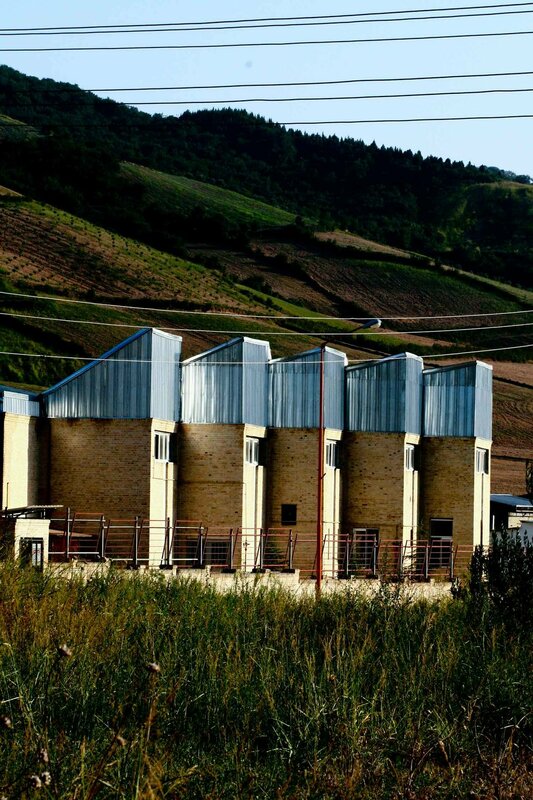 Shirkam factory was devised to produce dairy products out of the milk from the client’s growing cow ranch. As the plot of land’s width was not suitable for the product line and service route, the building was rotated 23 degrees to accommodate the necessary proportions of the factory and the route. The factory was designed as two main parts: the main salon and the service area. The client’s wish was to have a unique but cheap building, so the building was designed in way that could be seen very distinctly from the main road which connect Gorgan (province center) to Minoo-dasht (small town). The structure of the building was integrated with the functional needs, hence the main salon was surrounded by the service space with attention to their physical needs and the distinct broken façade toward the main road was created. 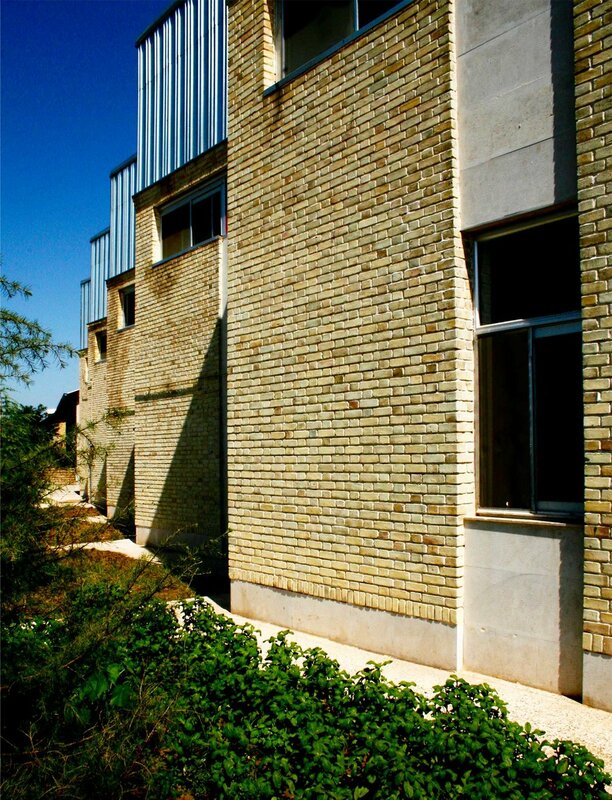 The other formal differentiation was the use of the reverse slope on the roof so the cliché form of common factories in Iran would be disregarded and would help the factory reach a certain uniqueness as was asked for by the client. The other side of the factory was designed in a way that future additions to the factory could be integrated in a easy fashion that wouldn’t burden the initial design, which happened before the factory was opened.